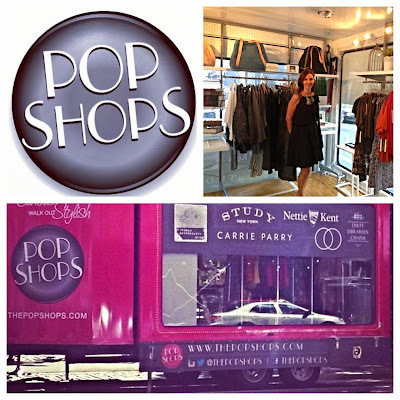 The Pop Shops: Bringing Curated Fashion To You! Last Friday I had the chance to stop by the Pop Shops for a VIP tour while it was in SoHo, NYC! The Pop Shops were created by Caryn Neary and is a transitional shopping platform dedicated to curating and supporting New York based designers and manufacturers while bringing an interactive and unique experience to the consumer. 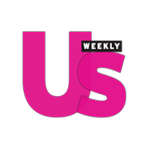 Neary is an avid supporter of the "Made in Manhattan" movement and also offers consulting advice to the hand picked designers by utilizing her 12 years of experience in buying and e-commerce development at Saks. The Pop Shops utilizes social media to interact and communicate location and sale information to its fans and followers, a la the high-end food truck. 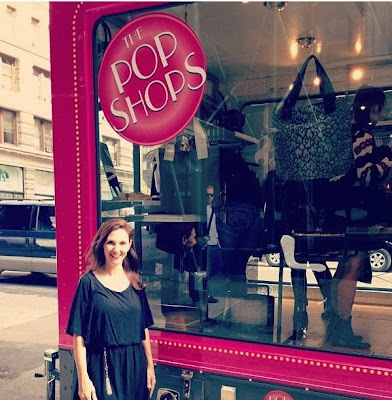 This time the truck was in SoHo and I got to discover some amazing New York based designers! I instantly fell in love with NYC brand Kai D. Kai is based in Brooklyn and does amazing menswear that showcases attention to detail and appreciation for quality work. I could not help but notice that he was selling some bow ties that I obviously fell in love with. It is always an awesome thing when you can shop right next to the designer and learn about every detail of the garment that you are about to purchase. Jonathan Valdez with Kai D along with a photo of Kai D's dapper (and perfect for fall) bow ties and more shots of the Pop Shops. The product and designers in the Pop Shops will rotate on a bi-weekly basis to insure that it always has fresh merchandise. After it's three day tour on select weekends the product will shift online and will be available for the remainder of the designer's allotted time. Another fun thing that the Pop Shops offered was Taro Card readings by Jeannine Carson. I usually never do psychic or taro readings but I decided, "Why not?" Jeannine was nice and very personable and made me feel comfortable and not nervous or freaked out. She told me some really interesting things and assured me that I am indeed where I am suppose to be right now (PHEW)! 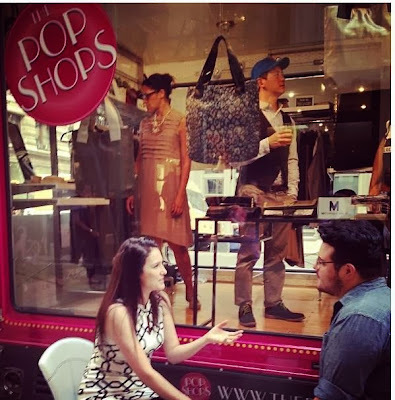 The launch of the Pop Shops will continue to move about the city and execute their coined "pop-up" experience in multiple places and spaces in the greater New York City area and on the e-commerce site. The Pop Shops have future plans of to expand product availability and multi-city vending so before you know it they might be popping up in a city near you! 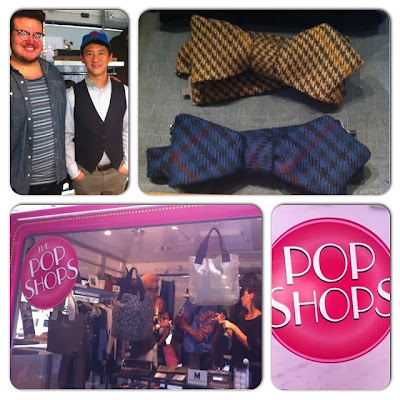 Thanks so much to the Pop Shops for giving me an exclusive VIP tour! I wish you all the best and I look forward to see you pop up all over NYC and beyond! For more information about the location of The Pop Shops and sales follow them on Twitter @ThePopShops and search #ThePopShops. For information about Kai D you can go to his website by clicking here. If you would like information about Jeannine Carson you can click here to find out more.